After the GDPR law became enforceable, many B2B companies started to think about an alternative to traditional lead generation methods as cold calls and cold outreach. This meant a New Renaissance for inbound marketing. Yet inbound marketing is a long-term strategy, many companies who started to implement it, didn’t see any tangible results in the first year. Last week I shared the content distribution process @Chris from Sumo has. If you read it, you saw that MOST pieces of content ... Más informaciones marketers create, never pass 1.000 visitors. Not to say they don't generate leads at all. 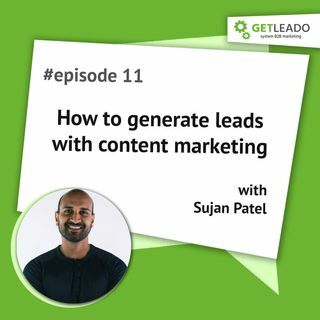 Last June I met one of the best world B2B inbound marketers Sujan Patel and asked him how to leverage inbound marketing and generate a steady flow of high-quality leads. Want to listen to our discussion and sneak peek inside Sujan's process? + How to set up inbound marketing the right way from the early beginning? + What are the most common mistakes with inbound marketing and what pitfalls companies should avoid? + How to create an effective inbound marketing strategy? + What is great content and how to create it? + How to distribute content the right way? + How to choose the right channels for content distribution?